The holiday shopping season is in full swing (pun intended), most of us have already started to work on our gift lists, some have even finished! To those prudent few I say, YOU are my hero! I, on the other hand, am not even close. With so much to do during the holiday season, shopping online is my saving grace, especially when it comes to my baseball players. Their whole lives revolves around the sport, and their Christmas lists are no exception. If your kids are like mine, you will appreciate this list of Gift Ideas for Baseball Players! Pin this one for later, it’ll come in handy for birthdays and other gift giving occasions too! All of these items are available online, but if you are pressed for time, you can even pick most up at your local brick and mortar store. 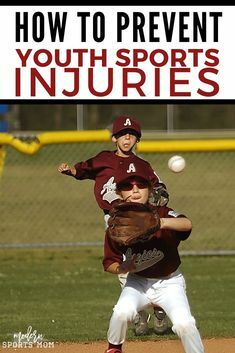 Are your kids into other sports? Check out this list of 35 Gift Ideas For Young Athletes! If you have a pro, semi-pro, or college team in your town, get your kiddo tickets for a fun afternoon at the ballpark! Get them a Plate Crate subscription! Every month your player will get a crate of 6-8 unique items including gear, snacks, accessories, and apparel. A fun surprise that’ll last all year long! My boys can never have enough Red Sox hats! My youngest ball player loves these books! This series captures his full attention, even though reading is not his thing. I highly recommend it! Let them choose what they want on a mini shopping spree! KBands leg Resistance Bands are a great training tool for athletes young and old! Big League Chew is a classic, and makes the perfect stocking stuffer for your favorite ball player!